Benjamin Baillaud studied at l’École Normale Supérieure and the University of Paris. He directed the Toulouse Observatory from 1878 to 1907 and the Paris Observatory from 1908 to 1926. He worked in celestial mechanics, especially on the motions of the satellites of Saturn. He directed measurements of positions of stars and the moon as well as planets and satellites. He enthusiastically supported the international Carte du Ciel project and was one of the first to publish charts and photographs of his region of the sky. During his three decades at the University of Toulouse he served as a very successful dean of the school of science and accomplished the difficult feat of putting a 50-cm telescope atop the Pic du Midi. At Paris he inaugurated the telegraphy of time signals from the Observatory via the Eiffel Tower and, with great difficulty, kept the time service in operation throughout World War I. Widely regarded as an outstanding administrator, he served as president of the Inernational Bureau of Time and of the Commission of the Carte du Ciel, and he was elected first president of the International Astronomical Union. Lewis, E.P., PASP 35, 2-10 (1923). International Astronomical Union, President, 1919-22. Baillaud, Lucien, L’astronome chalonnais Benjamin Baillaud (Clermont-Ferrand, 2004) [in French]. Baillaud, Lucien, The Chalon Astronomer Benjamin Baillaud (Clermont-Ferrand, 2004) [English translation]. Baillaud, René, Baillaud, famille d’astronomes: documents concernant Benjamin Baillaud, Jules Baillaud et René Baillaud (Besançon, 1967). Deltheil, R., “Un astronome toulousain, Benjamin Baillaud, 1848-1934,” Bull. Soc. Astron. popul. Toulouse 1960, April-Nr. 69-85.
l’Observatoire de Paris Bibliotheque [in French]. Observatoire Midi-Pyrenees, Biographie de Benjamin Baillaud [in French]. Tenn, Joseph S., “Benjamin Baillaud: The Eighteenth Bruce Medalist,” Mercury 22, 3, 86 (1993). Baume-Pluvinel, A[ymar] de La, l’Astronomie 48, 537-543 (1934). 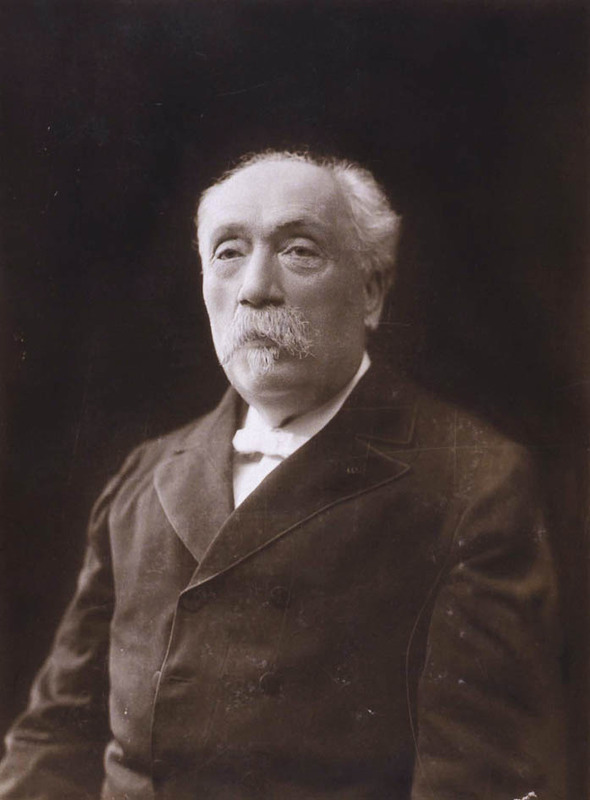 Borel, É[mile], et al, “Benjamin Baillaud, 1848-1934,” suivi de: Extraits des rapports annuels présentés au Conseil de l’Observatoire de Paris (Toulouse, 1937). Dutry, F., Ciel et Terre 50, 279-80 (1934) [in French]. Dyson, F.W., MNRAS 95, 334-36 (1935). D[yson], F[rank] W[atson], Observatory 57, 308-09 (1934). Lambert, A., Annales français Chronométrie 5, 15-22 (1935). Sampson, R.A., Nature 134, 279-80 (1934). Bust of Baillaud, 1886, courtesy Lucien Baillaud. Bas-relief, 1923, courtesy Lucien Baillaud. Baillaud, Lucien, The Chalon Astronomer Benjamin Baillaud (Clermont-Ferrand, 2004) [several]. Photo by Eugène Pirou in Lamy, Jérôme et Béatrice Motard, “L’archipel des coupoles. Topographie et architecture de l’observatoire de Toulouse : les logiques historiques et patrimoniales du bâti scientifique”.